Gladys Caughel loves to paint...especially with intense color. When people see her work, they tend to comment on the vibrant and clever use of colors. Many years ago, Caughel was trained by a decorative painter. After taking some oil painting classes, she fell in love with oils and acrylics on canvas. She has been influenced by many of the great contemporary artists. Caughel won the 16th Annual Taste of Oviedo poster contest in 2010 and also the 2nd Annual Geneva Founders Day poster contest in 2012. The printer of that resulting poster entered it into the Florida Printer's Assoc. contest and it won 2nd place in Florida. Caughel is co chairman and co founder of the Palm Valley community art club in Oviedo Florida. She has won 2 of their poster contests out of the last 3 years. She is active in art events in the Central Florida area. You can find her at the Oviedo Great Day in the Country every November. She is currently represented by fine art galleries such as the Hyder Fine Art Gallery in Orlando and is represented in the Serenity Center's P.E.A.C.E. Artisan Market in Winter Springs, FL. "Given my love of a challenge and my varied interests, it is difficult to narrow down my work to one genre", said Caughel. As a means of artistic expression, Caughel tends to find inspiration in everything whether it be a landscape, seascape, skyscape or a person, animal, or flower. When she paints a skyscape, she remembers her dad talking about the sky-blue pink of her Minnesota childhood. This color sky tends to find it's way into many of her paintings in honor of her father. Caughel enjoys sharing her passion for painting and rarely does the sun set on a day when she hasn't picked up her paintbrush. 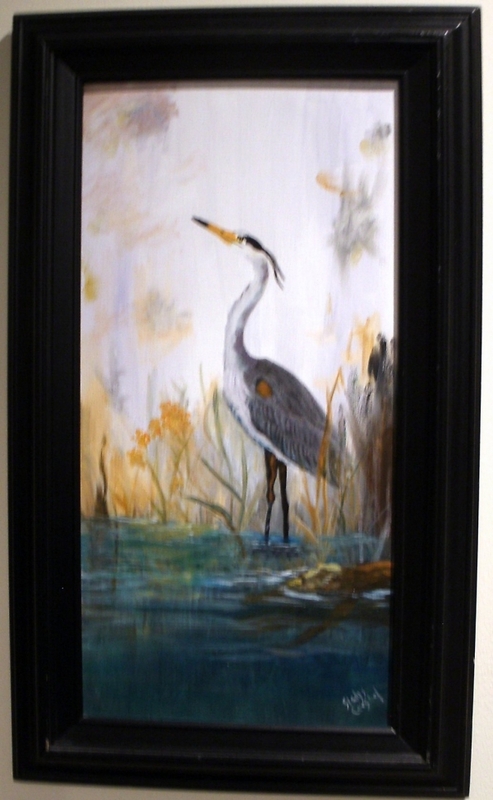 Height 24" x Width 12"
I love Floridas water birds and love to paint them. I wonder if he has just finished his dinner or giving thanks for the beautiful day? Gladys Caughel Professional Artist Gladys Caughel loves to paint...especially with intense color. When people see her work, they tend to comment on the vibrant and clever use of colors. Many years ago, Caughel was trained by a decorative painter. After taking some oil painting classes, she fell in love with oils and acrylics on canvas. She has been influenced by many of the great contemporary artists. Caughel won the 16th Annual Taste of Oviedo poster contest in 2010 and also the 2nd Annual Geneva Founders Day poster contest in 2012. The printer of that resulting poster entered it into the Florida Printer's Assoc. contest and it won 2nd place in Florida. Caughel is co chairman and co founder of the Palm Valley community art club in Oviedo Florida. She has won 2 of their poster contests out of the last 3 years. 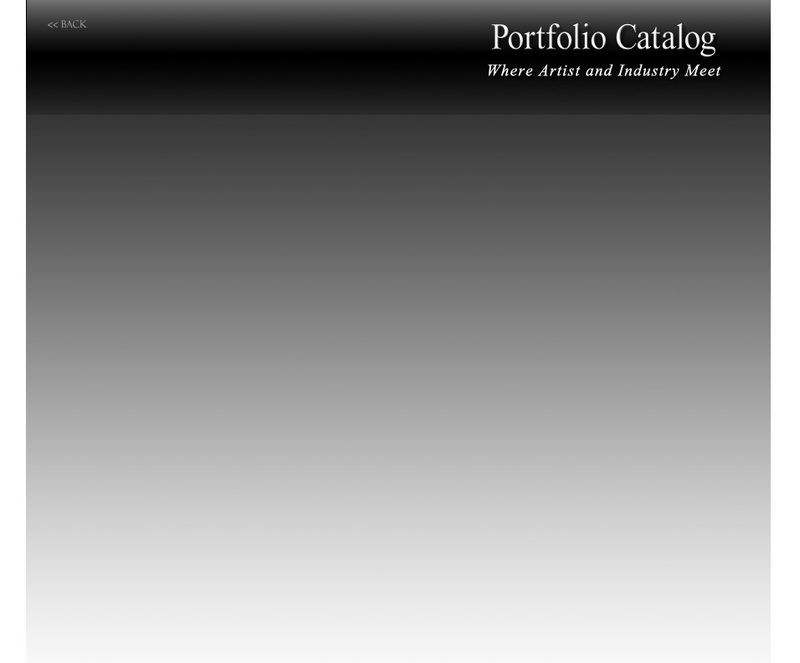 She is active in art events in the Central Florida area. You can find her at the Oviedo Great Day in the Country every November. She is currently represented by fine art galleries such as the Hyder Fine Art Gallery in Orlando and is represented in the Serenity Center's P.E.A.C.E. Artisan Market in Winter Springs, FL. "Given my love of a challenge and my varied interests, it is difficult to narrow down my work to one genre", said Caughel. As a means of artistic expression, Caughel tends to find inspiration in everything whether it be a landscape, seascape, skyscape or a person, animal, or flower. When she paints a skyscape, she remembers her dad talking about the sky-blue pink of her Minnesota childhood. This color sky tends to find it's way into many of her paintings in honor of her father. Caughel enjoys sharing her passion for painting and rarely does the sun set on a day when she hasn't picked up her paintbrush.